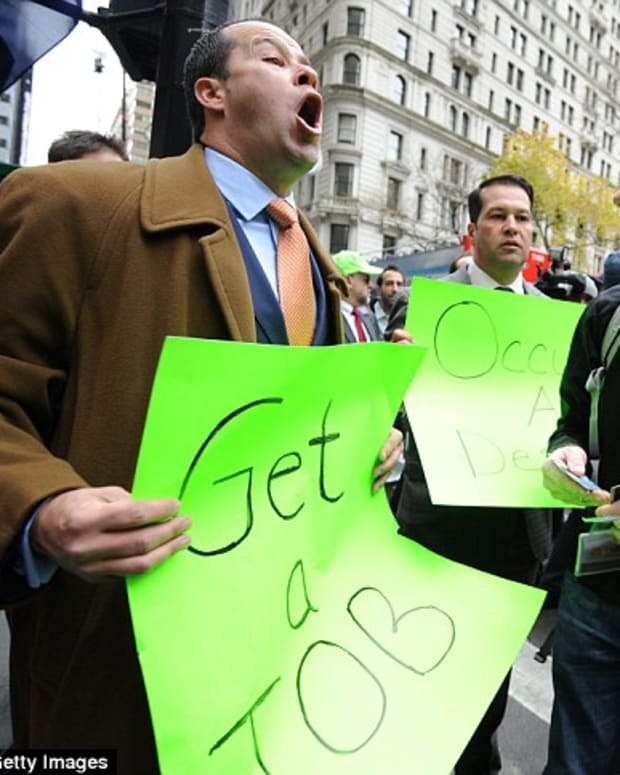 Occupy Wall Street protesters have come up with a new strategy after being banned from camping out in Zuccotti Park -- occupy Wall Street in shifts. On Monday New York City police cleared out the park which had been home to the protest for nearly two months. A day later a judge upheld a ruling than bans tents and sleeping bags from the park, as well as prohibiting people from lying down on benches or the ground -- in essence, no more occupying. They are free, however, to remain in the park if they are just standing around. Which is just what they will do. The New York Post reports that organizers have decided to protest in three shifts, "so there are people here at Zuccotti Park 24 hours a day" according to occupier Rick DeVoe, adding, "We have to hold this space for the American people." The first shift returned to the park Wednesday morning. By around 10am there were about 100 people in the park, braving rainy conditions according to the New York Daily News. Protesters think the court ruling will only help their cause. "The eviction is going to make it bigger and bring more people here," said Chris Allen. "We&apos;re sticking it out." Occupy Wall Street Counter Protest: "Occupy a Desk"